Thanksgiving might be behind us, but many Americans who are watching their waistlines will be feeling even more anxiety in the weeks to come. The inevitable onslaught of cookies, brownies, holiday drinks, and yes, even fruit cakes, can make it almost impossible to stick to a diet. We all deserve an indulgence every now and then, but the continuous indulgences of the holiday season can be especially problematic for men with low testosterone and for patients with diabetes. It’s no secret that sugar and alcohol can disrupt your hormone levels, and testosterone is no exception. Sugar and alcohol can be particularly taxing for men with low testosterone. A recent study published in Clinical Endocrinology suggests that a mere 75 grams of glucose can reduce both free and total testosterone levels in men with varying glucose tolerances. For reference, ingesting 75 grams of sugar is roughly equivalent to drinking two cans of cola, which is not at all uncommon when the mixed drinks start flowing at a holiday party. Alcohol packs a caloric punch and has almost no nutritional benefits. Beer, liquor, and wine differ in their nutritional profiles, but let’s look at a standard shot of vodka as a test case. A standard 1.5 ounce shot of unflavored 80 proof vodka carries a price tag of 96 calories (and that’s before the sugary mixers are added!). Though a drink or two at a holiday party won’t hinder your weight loss goals significantly, drinking several times each week will add a substantial number of calories to your weekly total. Keep in mind that ingesting alcohol can also have an indirect effect on your waistline by impairing your judgment. You can arrive at the company party with an iron will, but a few cookies might not sound like such a bad idea after a few drinks. Your body’s ability to burn fat is severely diminished by ingesting alcohol. When you drink, your liver will immediately prioritize metabolizing the alcohol instead of fat. Your liver’s ability to regulate testosterone is also impaired by alcohol, which leads to reduced testosterone levels. 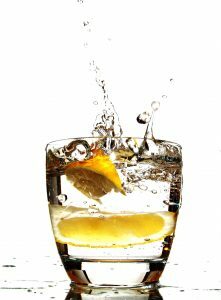 Men with low testosterone should be particularly aware of the effects of alcohol on their testosterone. 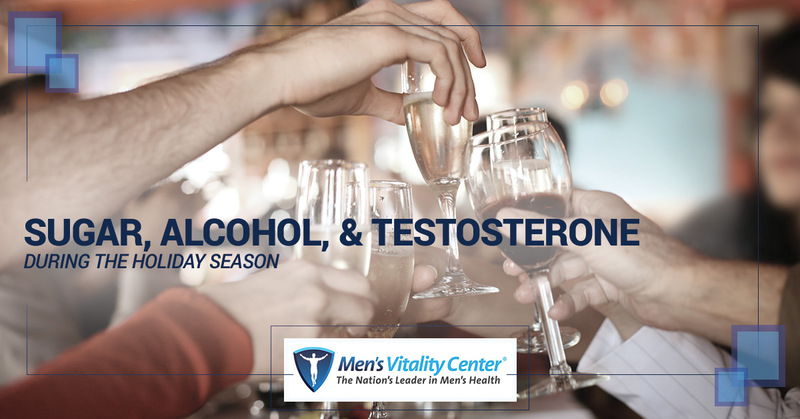 Speak with your doctor if you’re concerned about how alcohol might affect your testosterone levels. If you know that you’ll be indulging this holiday season, try to limit your indulgences to just one day. A cheat day won’t completely derail your weight loss goals; a cheat month just might. Moderation is the key to getting through the holiday season without doing too much damage to your diet. With all the stress that can come during the holiday season, remember to take some time to appreciate your loved ones and to care for yourself. Don’t beat yourself up if you have a few cheat meals. Just remember that tomorrow is a new day and that the holiday season won’t last forever. Contact our office with any questions about men’s health and testosterone levels you might have.